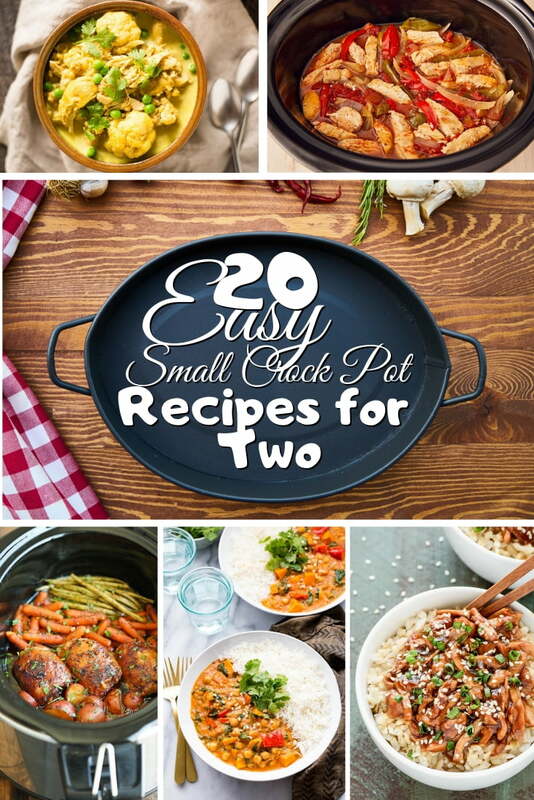 Looking for great easy small crock pot recipes for two? These 20 delicious recipes have become our favorites, and they will make a romantic dinner perfect. A slow cooker (crock pot) makes cooking easy and hustle-free. Just put all ingredients together into the pot in the morning, set it to cook and you’ll find a ready meal in the afternoon. It’s just what you need if you’re cooking for yourself and your significant other. So here are our favorite recipes for a small slow cooker. Most of these are already catered for two persons, others you’ll have to cut the ingredients to fir your small pot. In any case, every one of these dishes is worth trying. Enjoy! So here’s the plan. 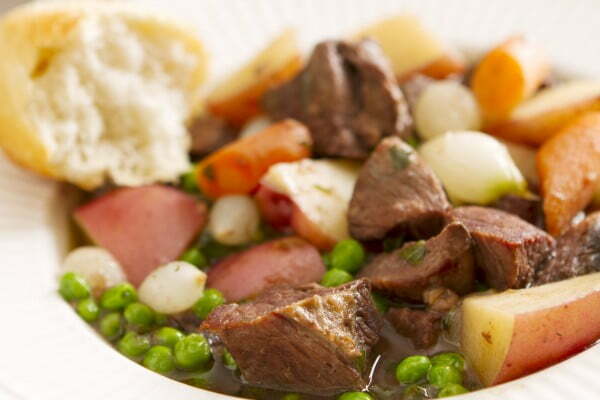 You pre the meal and set your small crock pot to cook this delicious stew in the morning. Later in the evening, you’ll have a romantic dinner ready waiting for you. And without all the hustle of cooking! 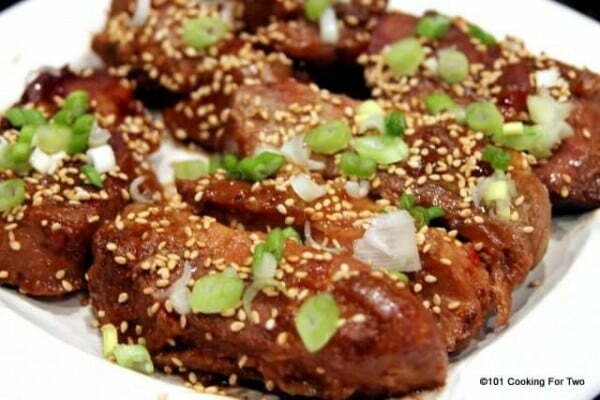 This is a great recipe to make the most tender Chinese style ribs. Slow cooking the meat for 5-6 hours results in a taste rich and delicious dinner meal. It takes a while to cook (as all slow cooker meals do) but the preparation is simple. The recipe is ready for two! 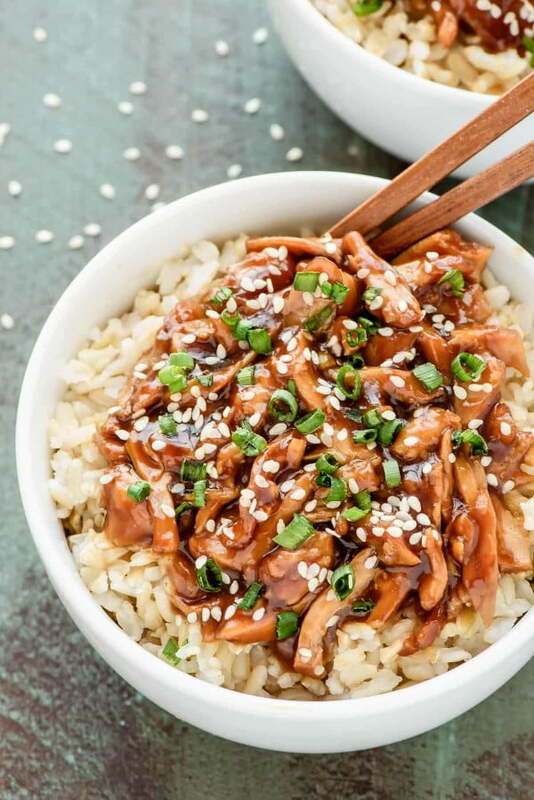 This terrific chicken recipe invites you to replace the classic takeout Chinese food with a much healthier option. In all of the 10-minute prep time, you will be able to set and “forget” your crockpot for a few hours. It’s an excellent option for dinner for two. 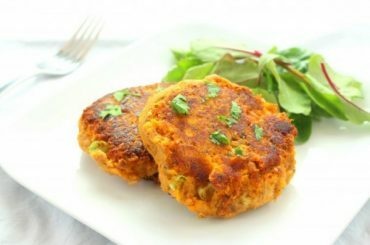 Another fast food alternative that makes a great dinner! And what’s so great about it is that it’s easy to cook it in a small slow cooker. Just throw all the ingredients in and let it do the magic. 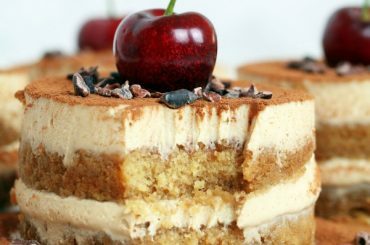 It’s simple but rich in taste and melts in your mouth. 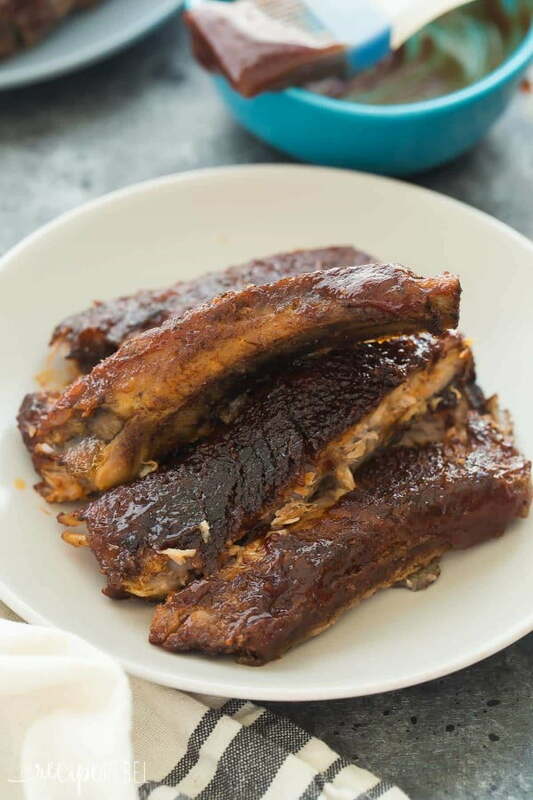 Who doesn’t like BBQ ribs with meat that falls off the bone? 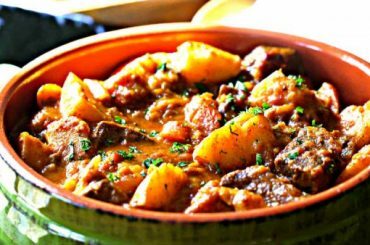 This is precisely what you get with this simple slow cooker recipe. There’s a delicious spice rub included too. Who says you can’t enjoy excellent ribs for two? We love recipes that are easy on the ingredients, and pretty much can be prepared with everything that you already have around. There’s not much shopping to do to make this orange chicken, and it’s delicious. 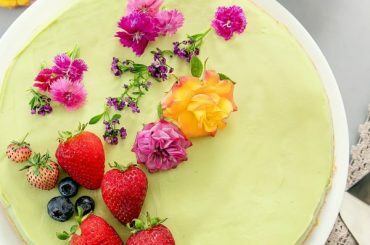 You’ll be making this more than once for yourself and your significant other. 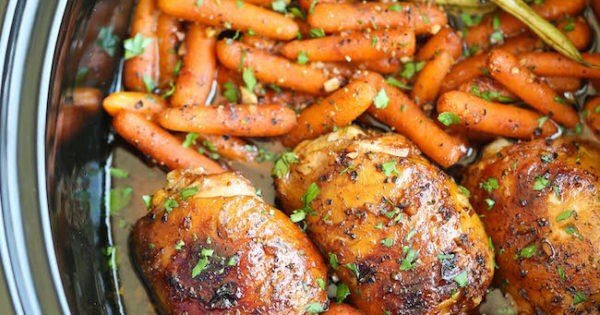 Make this easy and delicious dinner in your small crock pot – complete with the side veggies. 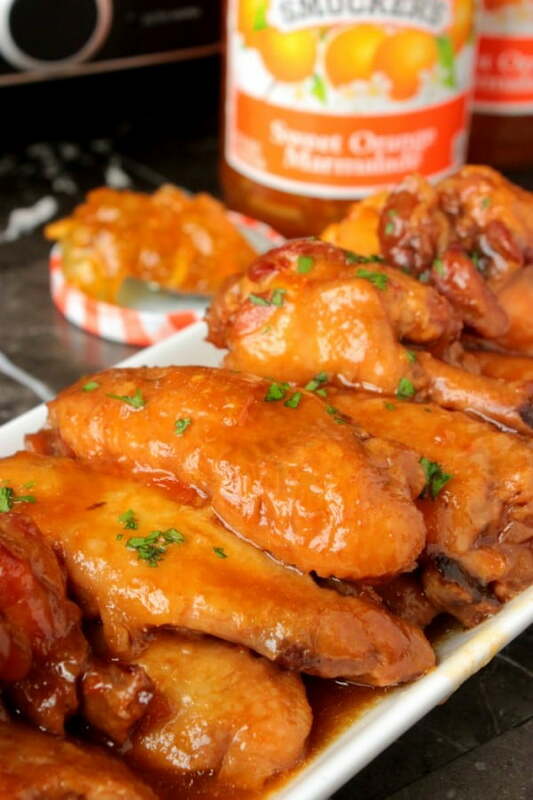 You will love the combination of garlic and honey. It’s one of the easiest but very rich-in-taste meals. 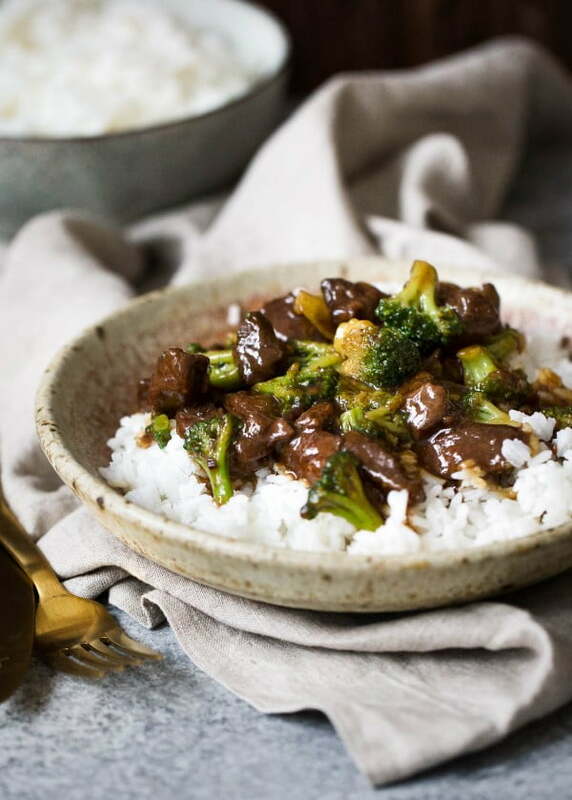 We are killing takeout food with these slow cooker recipes, and it’s another great classic. Beef and broccoli cooked in the crockpot are so easy to make, and you will enjoy the savory sweet taste. What a lovely dinner for two! Want something spicy and savory for dinner? 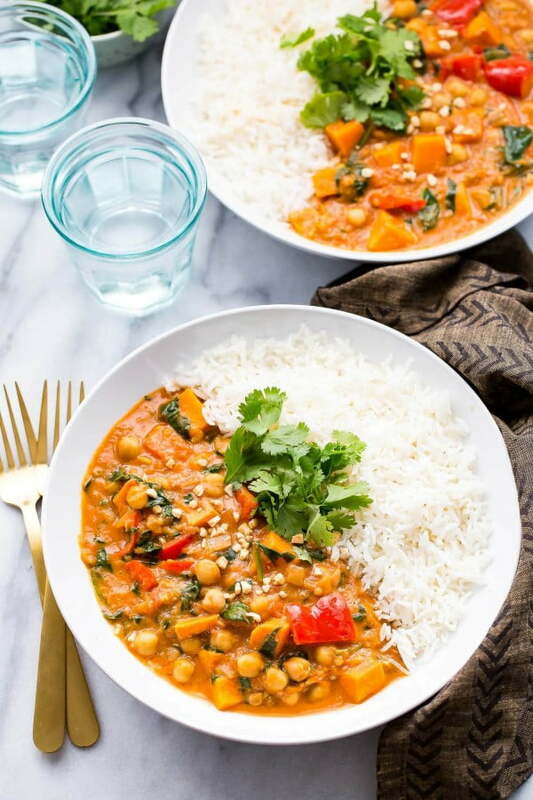 Try this African inspired chickpea and sweet potato curry. And yes, it’s best made in a slow cooker. It must be the easiest way to make curry too. It’s a vegan dish also. Enjoy! 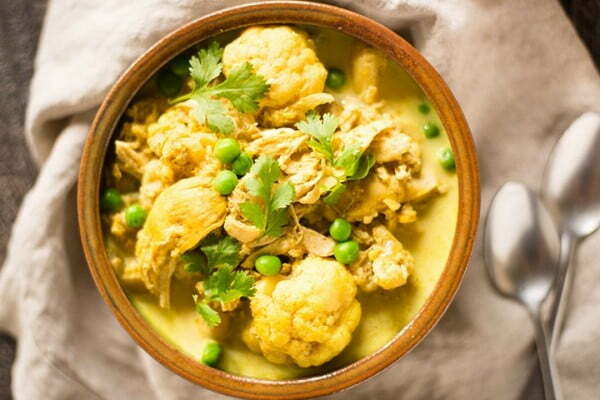 This cauliflower chicken curry is one of the healthiest stews you will make in your slow cooker. 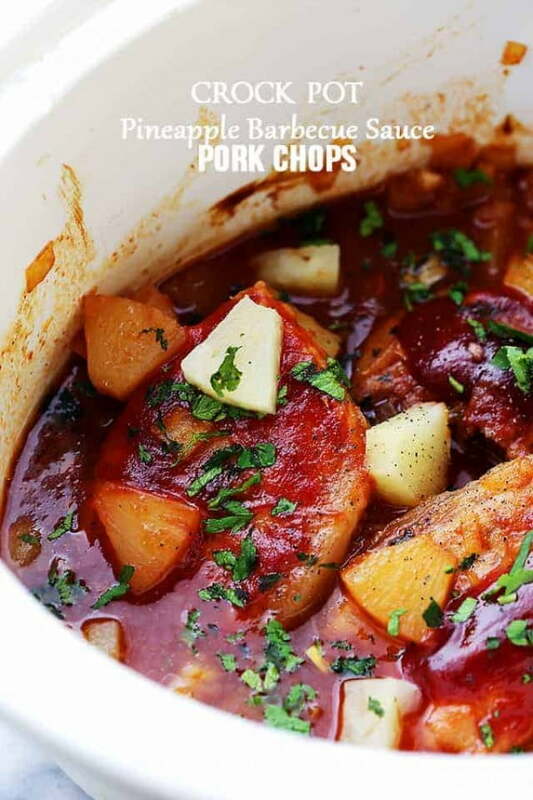 It’s effortless too, and you can make a lovely dinner for two even in a small crock pot. Another healthy vegetarian dish for dinner. And it’s delicious too. 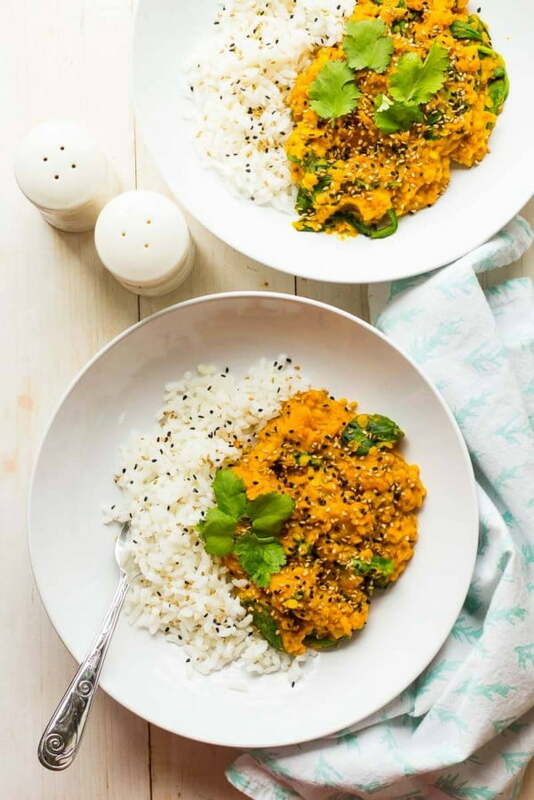 The red lentil blend with butternut squash so well in this terrific stew. Best yet, it’s the perfect recipe for two. This dish taste as good as it looks. 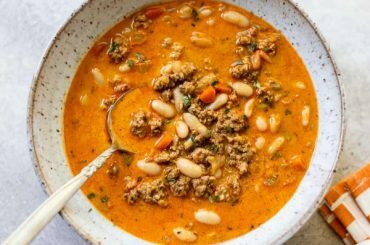 Make this bean and oat chili over a sweet potato in your small crock pot. 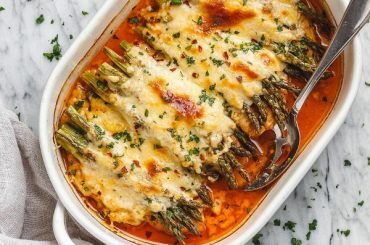 It’s a great vegetarian recipe for two. Goes well for a romantic dinner too! 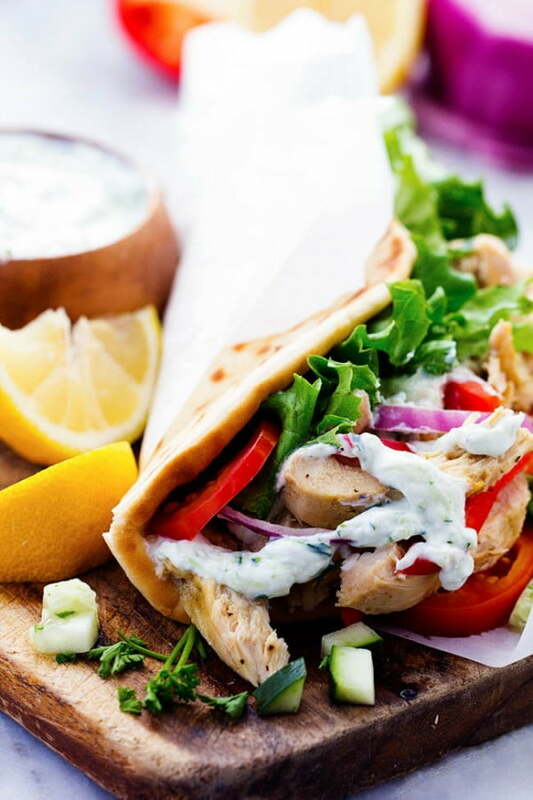 Ready for a juicy and full of flavor chicken? 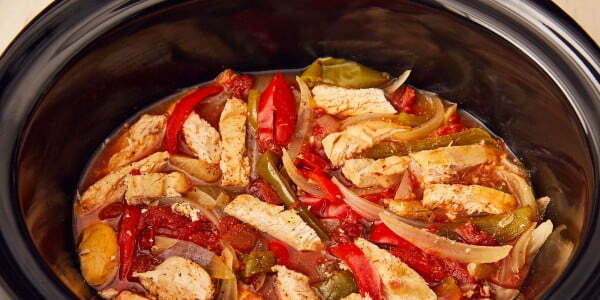 These fajitas made in a slow cooker will be a big hit! And like all recipes for a small crock pot, this is straightforward to prep too. Enjoy! Can you cook meatballs in a slow cooker? Absolutely! And they turn out so well and rich in flavor. This paleo version makes great use of slow cooking as it does not use breadcrumbs to bind the meat. 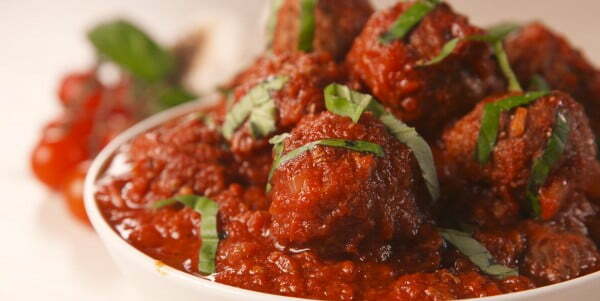 Enjoy these meatballs cooked in a delicious tomato sauce. 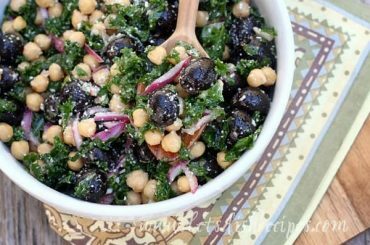 Cook this dinner meal complete with the potato and Brussel Sprout side in your crock pot. 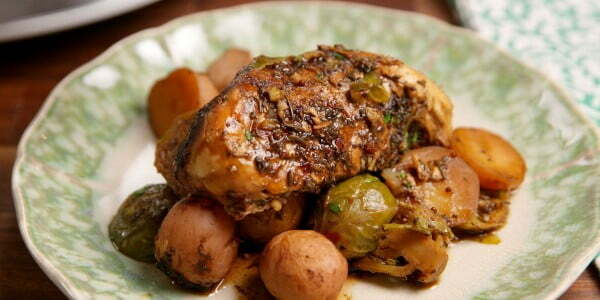 The balsamic chicken is rich in flavor enriched with Dijon mustard and honey. 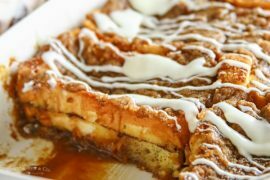 The original recipe is for four servings so cut the ingredients in half, and you can use a small crock pot! 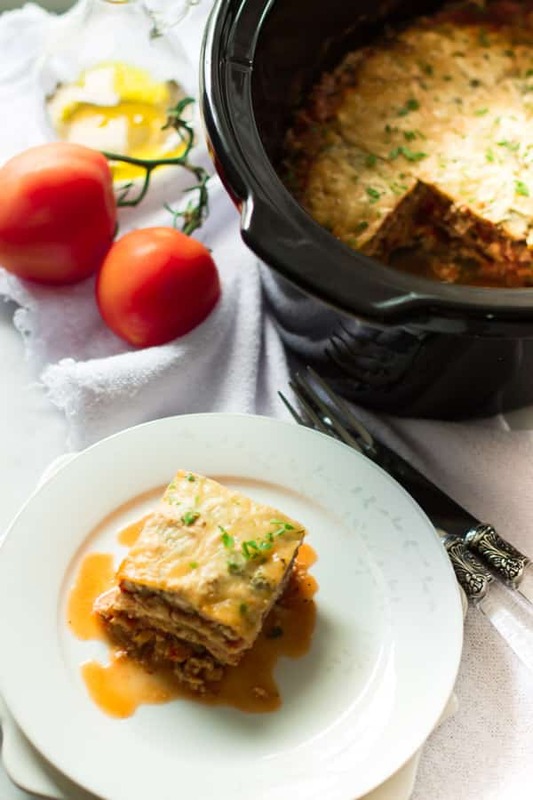 Lasagna in a slow cooker? 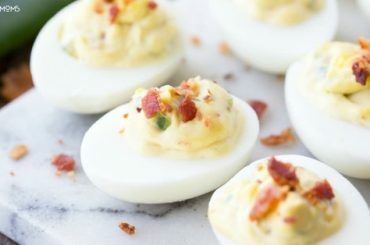 Yes, and it turns out so great, you have to try it. 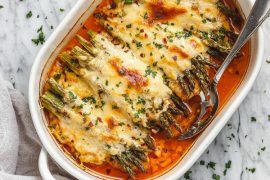 This is a healthy low-carb vegetarian version of zucchini lasagna with ricotta, Parmesan and spinach, and a delicious sauce. 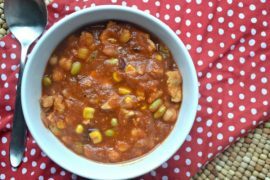 Another great healthy recipe that you can make in your slow cooker for a delicious dinner for two. 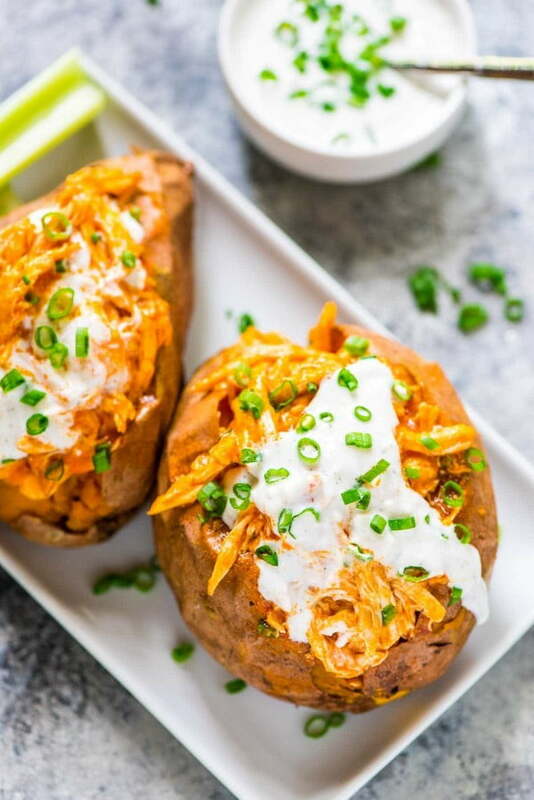 Enjoy this tasty Buffalo chicken with sweet potato and its rich flavor! Here’s a recipe to convert everyone to cabbage lovers. 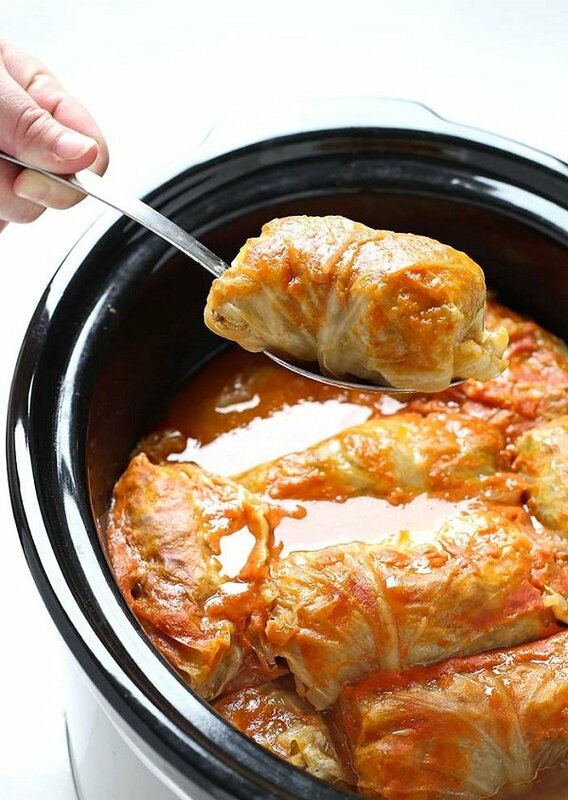 It’s a terrific slow cooker recipe for delicious cabbage rolls. 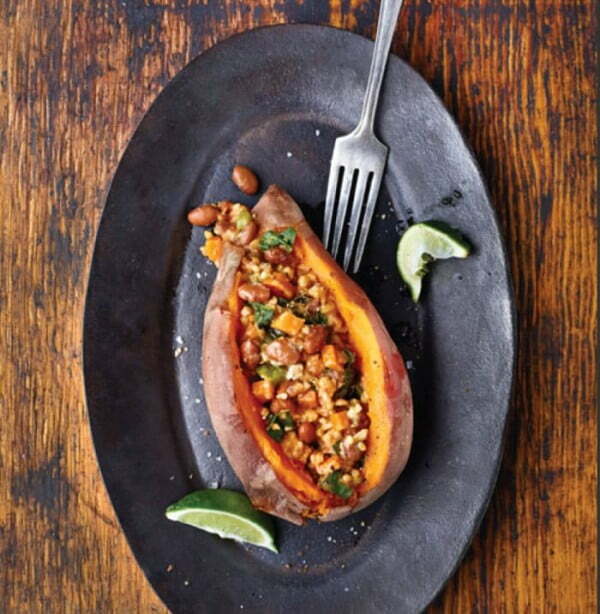 It’s tasty, hearty and good for you. All you have to do is adjust this recipe for your small crock pot. Enjoy! 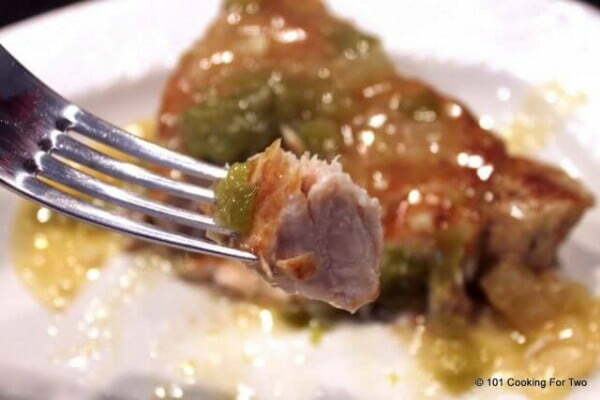 The pineapple barbeque sauce gives these slow cooker pork chops an exquisite taste. The meat turns out very tender and rich in flavor. It’s just what you need for a romantic dinner for two.